​61. Story of an English leader, who left his wife and little baby to enjoy an illegitimate relationship with a racist model in UK! ​62. 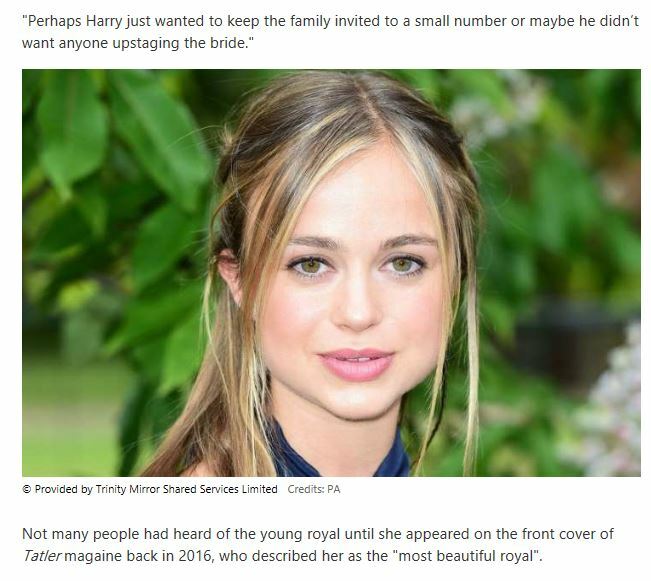 Amelia Windsor [the most beautiful Royal] was not invited to the wedding of her second cousin [Prince Harry and Megan] in May 2018. This is prohibited in Islam. Not applying "Siliyi Arham" [kindness to relatives] can cause lack of children [maqtou'a ulnasl] for those, who are not kind to their relatives and cut the tie of relationship with their relatives. Muslims are encouraged to be kind to their relatives to please Allah. This Islamic ethic is compressed in book of Jesus as Love for neighbour, as Jesus life was short and the whole truth would have to come by mission of Messenger of God prophet Muhammad. Photo of Lady Amelia is in above.